The business of government is changing. Cyber attacks are on the rise. Regulations are increasing. Citizens expect superior digital experiences. You need a platform made for trust. The U.S. Government Accountability Office reports that 75% of the $80B spent on IT went to maintaining outdated systems. (1) When upgrading systems and making IT infrastructure investments, few platforms can meet all of the requirements of agencies challenged by digital transformation. The right solutions offer the best possible security, the highest availability, real-time insights, DevOps acceleration, and innovations such as AI and blockchain. Choosing the right platform can lower your TCO and protect your agency from costly maintenance, outages and breaches. Few events destroy citizen trust as quickly and permanently as a data breach. Encrypting this data is the solution: of the nearly fifteen billion data records lost or stolen since 2013, only four percent were encrypted. (2) But selectively encrypting data is time- and resource-intensive – and it leaves large portions of data unsecured. Pervasive encryption on IBM Z encrypts 100% of application, cloud service and database data without impacting operations. Agencies gain protection from internal and external threats while simplifying compliance with mandates like GDPR and regulations. Governments are tasked with rapidly identifying emerging patterns of fraud, waste and abuse to minimize losses and reduce costs. IBM Z empowers you to analyze data in place without service-level agreement impact – eliminating as much as $10 million in extract, transform and load costs. 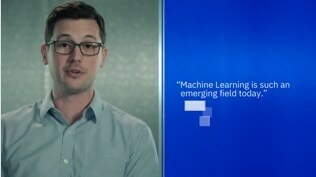 (3) Agencies can apply machine learning to valuable data on the mainframe to create, deploy and manage high-quality self-learning behavioral models in place and in real time. 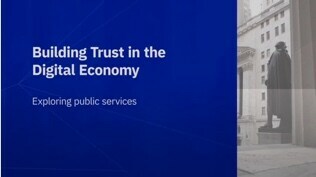 To keep services evolving at the pace of innovation and industry change, government agencies must think like startups while acting like trusted enterprises. The IBM Z connected platform features a development operations framework that helps to empower innovation and agility within your organization. In fact, IBM Z accelerates application development time by 25%, while supporting 30 billion transactions a day with 99.999% availability. 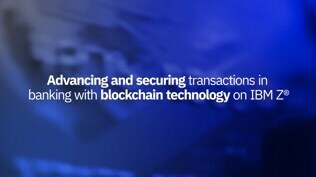 Transparency meets security with blockchain on the Z platform. Blockchain can do for transactions what the internet has done for information. It can revolutionize the relationships between businesses and transform ecosystems as industries converge. IBM Z can serve as the foundation for this transformation. This agency gained a 3x faster solution to handle a surge in web visits. This government organization saved an estimated 50% over alternatives.